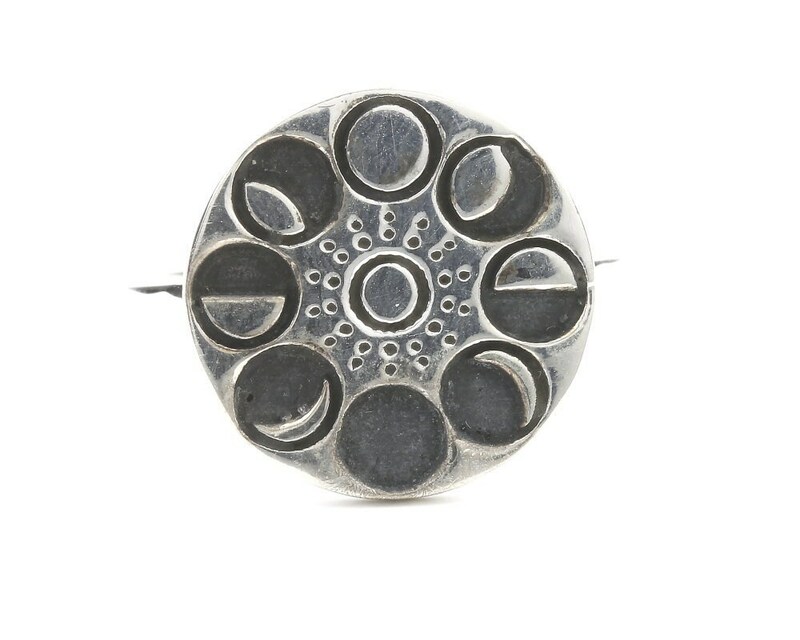 Sterling silver ring with moon phases placed around silver circle. Dark patina finish accentuates the design. 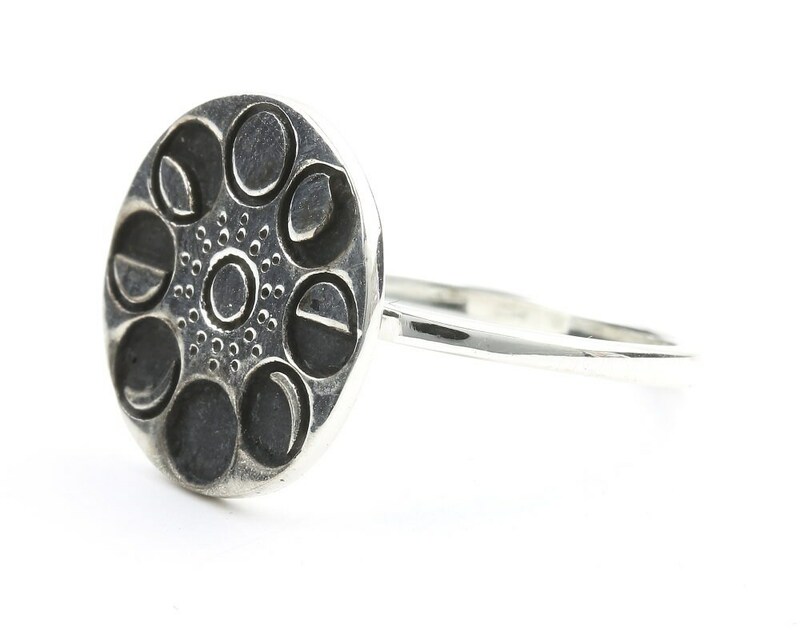 Pairs beautifully with other silver and gemstone rings. 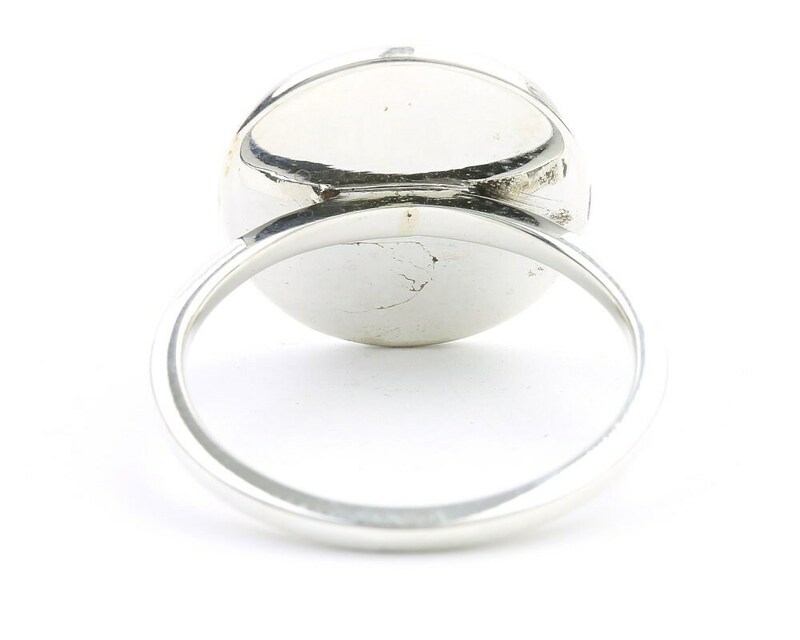 There's a slight mistake on one of the moons, but it's not noticeable from a distance, and it's a really cute ring! I love it! Looks like there’s a tiny defect on one of the moons in the phase circle but I don’t mind. Also seems like the black toning may eventually come off, but again oh well!